New Orleans is a city that can easily drive a visitor to overindulge. While you may have just conjured up images of partying on Bourbon Street, we are actually referring to all of the amazing dining options. With an almost innumerable list of restaurants, diners, and eateries, this city dishes up an overload of flavors. We found food Envie in the French Quarter to be a common occurrence. (Yes, we purposely played off of the misspelling.) 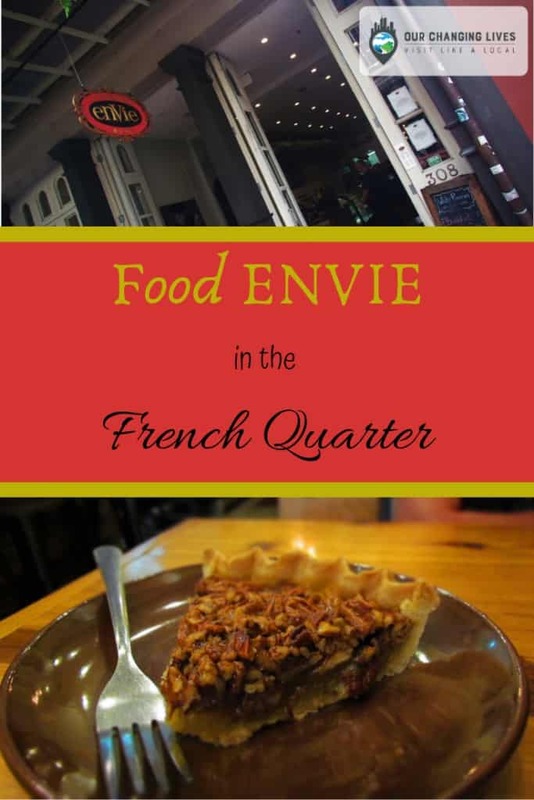 A visit to Cafe Envie was an unexpected pleasure during our NOLA trip. 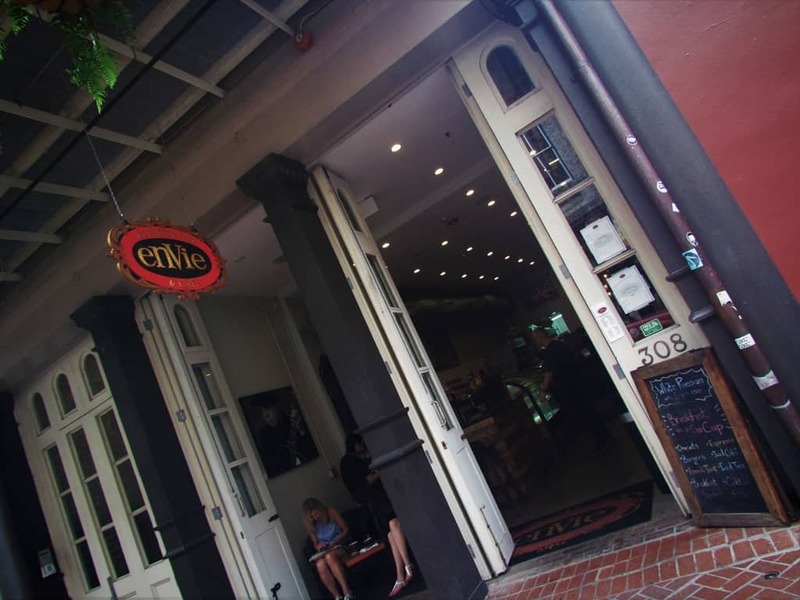 There is nothing quite like wandering the streets of the French Quarter. The closest experience we can associate with it would be the cobblestone streets in St. Thomas. (You can read more about that visit here.) In New Orleans, the history seems to flow from the buildings, and every turn offers new sights. Each street and alley holds its own little secrets, tucked away from plain sight. 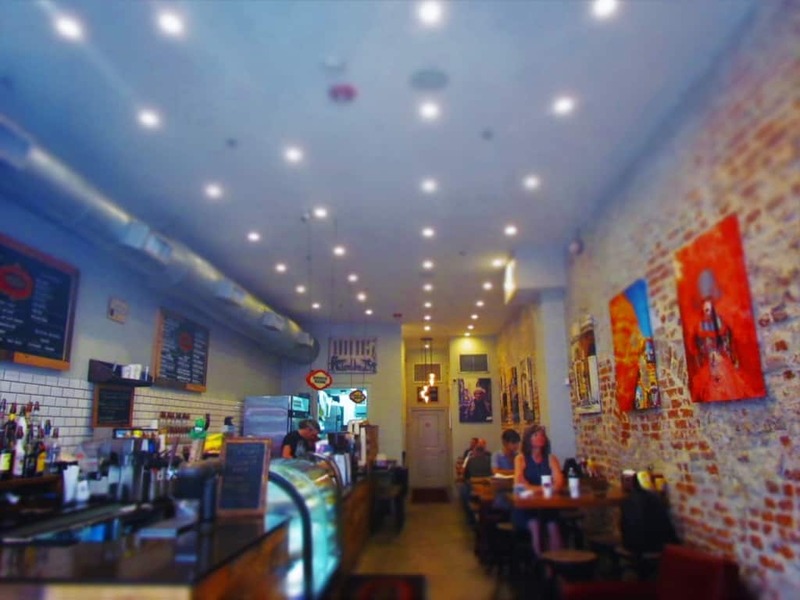 It is only by traversing them that you find the hidden gems like Cafe Envie. A ritual for us is at least one meal of beignets and chicory coffee. For this we will most often visit Cafe Du Monde. (You can read more about their beignets here.) We have found them in other eateries, but the original still holds a special place in our stomachs hearts. Of course, being realists means that some of our breakfasts need to incorporate more traditional dishes. 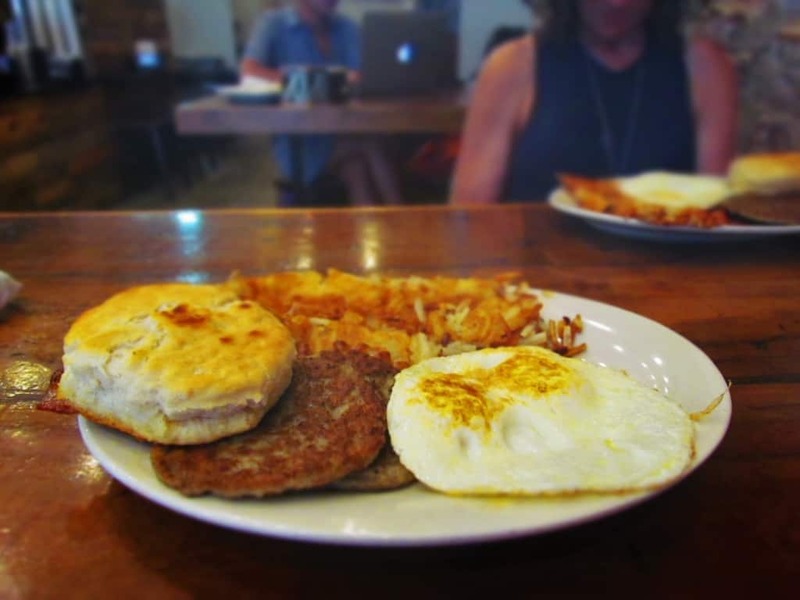 During our explorations, we happened across Cafe Envie on Decatur Street. We made note to try it for breakfast the next day. They have a moderate menu, and we were happy to find a protein filled plate to fuel our busy day of exploration. We spied their pastry case, before departing, but were too full to take on any additional bites. Fast forward to the next day, and we once again found ourselves wandering the French Quarter. Struck with a hungry desire between meals, we decided that a sweet bite would tide us over until dinner time. Be prepared to see tons of candy shops while exploring New Orleans. While these all looked scrumptious, Crystal had her heart set on a piece of Pecan Pie. After all, where better to get one that in the home of southern cuisine. While racking our brains for a place to go, we remembered the food Envie we had experienced earlier in our trip. A nice thing about the French Quarter is that it is easily traversed by foot, so in no time we were back at this delectable eatery. Soon we found ourselves enjoying our sweet rewards, while watching shoppers wander by outside. 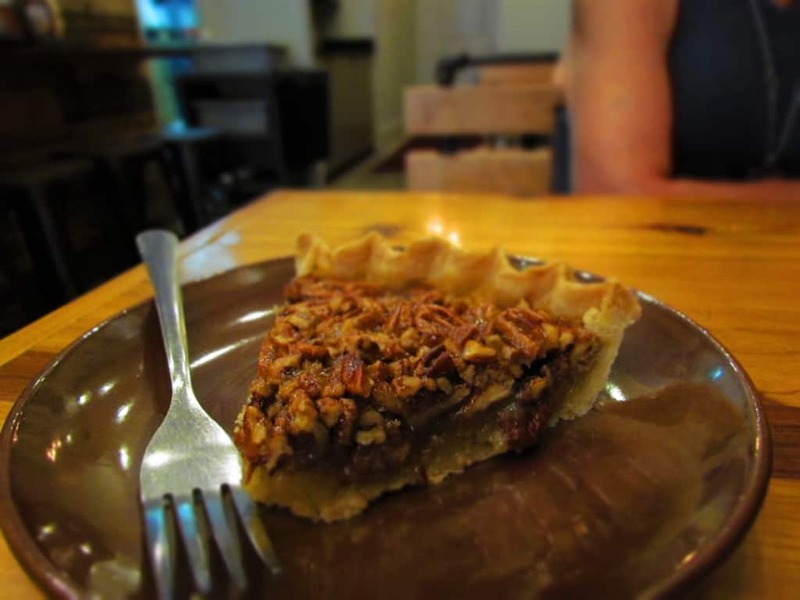 I will have to admit that I am not a fan of Pecan Pie, but Crystal more than makes up for it. I could quickly surmise that she was ecstatic to have found a source for her golden treasure. When I asked her how she liked it, the smile that formed across her face said more than she could with words. Have no fear, I was able to identify a treat that satisfied my sweet tooth, as well. 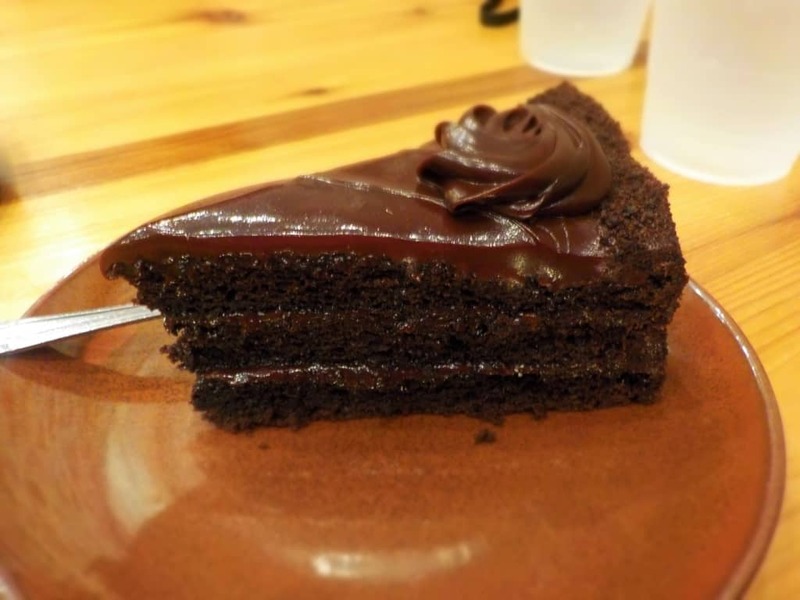 A moist slice of their Chocolate Cake was just what I needed to keep me from jealousy. This creamy decadent delight was the perfect treat for me. Which of these choices would you have chosen? Share this with your Sweet Tooth friends!